The largest collection of moving images in the world has opened its doors to the public. For the first time, the British Film Institute in London will allow free access to its film and television archive of nearly one million items. [Please read comments for important clarification of access policy.] This is a boon for Victorianists, as the collection includes a wide range of very early cinema -- from the documentation of events related to the Boer War (the embarkation in 1900 of the City Imperial Volunteers for South Africa, the entry in 1900 of the Scots Guards into Bloemfontein, Kitchener's arrival at Southampton in 1902) to the first forays into film by the stage actors John Martin-Harvey and George Alexander. The actress Ellen Terry (see post of February 27) is represented by several short films, including The Greatest Performance (1916), in which she appears with her daughter, Edith Craig; Victory and Peace (1918), a propaganda film that supposes a German invasion of Britain; Pillars of Society (1920), a version of Ibsen's play; and The Bohemian Girl (1922), an adaptation of Balfe's opera. She is also filmed at home, laying a foundation stone at Walston-on-Thames, opening a school for the blind at Reigate, and chatting with JM Barrie on the occasion of her being named a Dame Grand Cross of the British Empire. Other BFI treasures of interest to Victorianists include the Mitchell & Kenyon Collection, an amazing visual record of everyday life in Britain at the beginning of the twentieth century, consisting almost entirely of actuality films commissioned by travelling fairground operators for showing at local fairgrounds and other venues across the UK (available on DVD); and the pioneering films of James Williamson, which provide an intriguing portrait of late-Victorian England. The BFI has also put together a video compilation called "Film as Evidence: Britain in 1900." 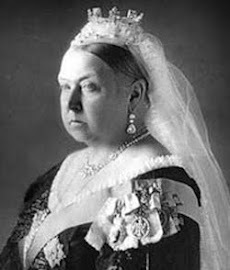 After seeing "animated pictures" of herself and her guests at Balmoral in 1896, Queen Victoria called cinematography "a very wonderful process." The film that she saw is one of the 37 films in the compilation. 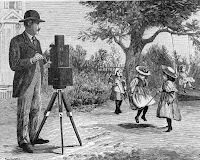 This impressive website is a "biographical guide to the world of Victorian film" and features 300 profiles of those who contributed between 1871 and 1901 to the advancement of the art and science of film. The Bioscope is a new blog devoted to early and silent cinema. The news reports on this have been rather misleading. The BFI is not making the whole of its film and television archive freely available - it could not possibly do so. What is has done is open a Mediatheque on the South Bank where visitors will be able to pop in for free and see around 700 titles, in digital form. A few of these may well be Victorian - the full catalogue hasn't been published as yet. 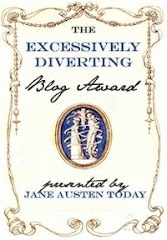 Thanks for the link to my blog, by the way. Among the free films available there will be "Blackfriars Bridge" (1896). Panorama of Ealing from a Moving Tram (1901). We will be adding new titles to the collection every month.